Interview with team manager Ralph Denk about the start of the new season. Ralph, the last season has been very successful, for example by winning the German National Title. 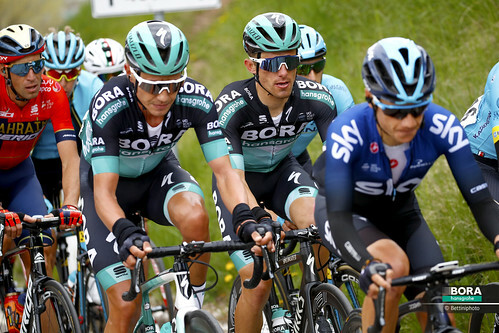 What can we expect from BORA – ARGON 18 this year? So far everything went well during the winter. All riders did stay heathy. Now we try to build up shape on our camp here in Mallorca. When do you start the season and with which races? We start with the Mallorca Challenge end of January, then do the Tour of Qatar and Tour of Oman with the group that prepares for the Classics. The group of riders preparing for the stage races do Murcia and Algarve. That means we can provide all the riders a good season start in terms of racing. And I want to admit that this is not easy, because every team is fighting for invitations to the first big races. So I am a bit proud that we did our job well. When you talk about the different groups, which riders are in the different groups? For the Classics we count on Schillinger, Pöstlberger, Archbold, Dempster, Thwaites, Schwarzmann, Matzka, Bauhaus and Pfingsten. On the other side Nerz, Buchmann, Mendes, Voss, Konrad, Benedetti, Herklotz and Mühlberger are building up for the bigger stage races. 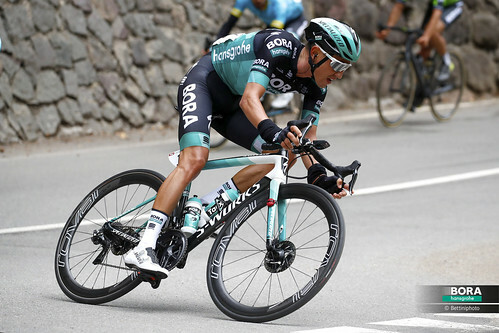 Sam Bennett, our main sprinter, will do parts of both programs. As well as Rüdiger Selig and Jan Bárta. And what about Bartosz Huzarski? Bartosz had a shoulder operation during the winter, because he had regularly problems with dislocating it during the last seasons. I think now everything should be fine again, but he will start racing a bit later in March. Then he also will be our road captain again, taking care of the younger riders. To stay with that, the younger riders. Who is new in the team this year? We contracted some more young talents, like we did before. Our goal is to support young guys on their way to the top of cycling. And I think with Emanuel Buchmann we did a good job so far. New are Silvio Herklotz, Gregor Mühlberger and Lukas Pöstlberger, and we think all three can develop in the same way Emu did. Herklotz and Mühlberger are climbers and will focus on stage races. 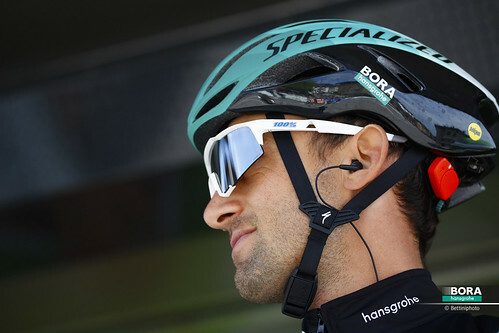 Lukas is an all-rounder, he can prove himself in the Classics this year, but did already win stage races in the past. With Rüdiger Selig we have also a new rider with World Tour experience. He has been in the Katusha train for Alexander Kristoff the last years. Now he will take on a similar role in our team, and hopefully Sam can benefit from his experience. Besides the new riders, who are the ones to take responsibility and should get the results? Well, for sure we hope that Sam can win again some races. But also Jan Bárta is one of our captains when it comes to smaller stage races or the Classics. He is well experienced and showed in the past his abilities, especially in time trails. I think also Dominik Nerz will do good again this year. He had an awful season last year, bad luck all the time, but everyone knows that he can do really good in the Grand Tours. But in general for stage races I see also Emanuel Buchmann and Patrick Konrad, together with Dominik, as our “Three Musketeers”. Emu and Patrick improved a lot over the last month and I think they are good to surprise sometimes this year. Also Gregor Mühlberger can be one of our GC guys, but there will be no pressure on him this season. He still needs some time to develop, but he also will get some freedom to try to prove himself. Is there any other news about BORA – ARGON 18? Well, for me one important thing is, that we try to do two Grand Tours in one year for the first time. 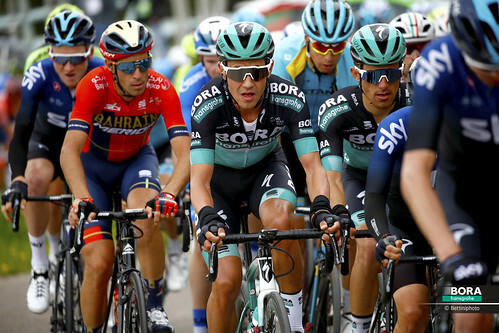 We applied for the Tour and the Vuelta and I hope we get wildcards for both races. That would be a big step for us. 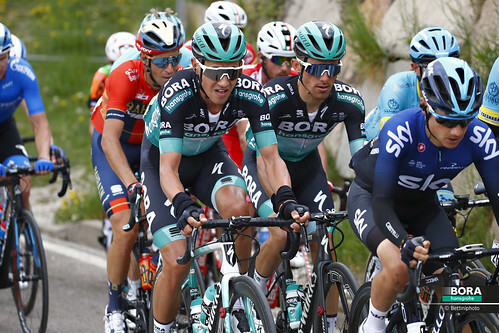 We could give some of the young guys the possibility to gain experience in a big three-week tour, and I am sure for some of our riders it would be a necessary next step to their development. So we hope the best. Ralph, thank you for talking to us.